Radon is a naturally occurring radioactive gas that is produced by the breakdown of uranium. As uranium (which is found in low levels within all rock, soil, and water) breaks down, radon gas is generated and in turn remains in the rock, soil, and water. 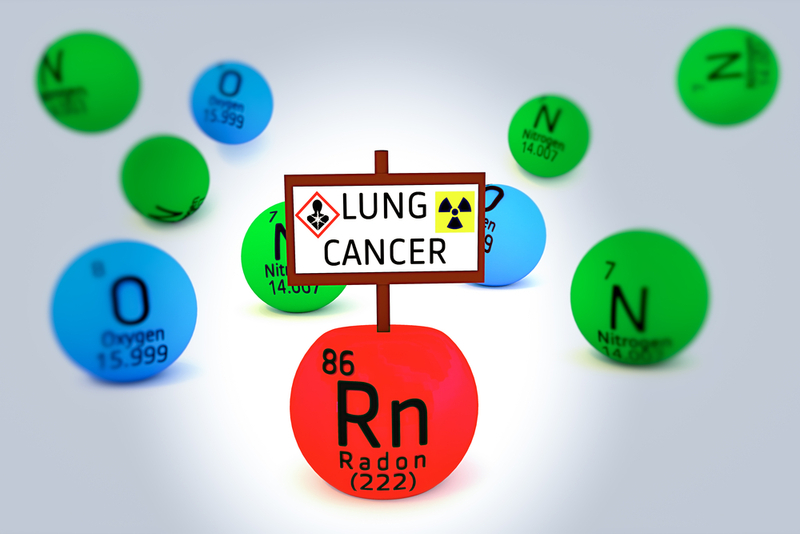 Radon is the second leading cause of lung cancer, behind smoking, and it is the leading cause of lung cancer among non-smokers. The surgeon general estimates that radon is responsible for over 20,000 lung cancer deaths in the United States each year. Because of the harmful effects that radon has been proven to have, the U.S. Surgeon General has issued a national health advisory on radon. In small amounts, radon has no harmful effects, but being exposed to large amounts of radon can cause serious health problems. When you breathe in radon, it can penetrate the lining of your lungs and give off radiation. Over time, this radiation can cause cell damage that leads to lung cancer. As a naturally occurring gas, radon is present in small amounts in all rock, soil, and water. Exposure to radon happens when your home, school, work or any other building that you spend significant amounts of time in has cracks in the foundation that allow for the radon to escape from the soil and into the building. Radon is significantly heavier than air, so the highest levels of radon will be found in the basements or lowest floors. Because you cannot see, smell or taste radon, the only way to know if your house contains dangerous levels of radon is to have it tested. A large number of houses across the United States have been found to have dangerous levels of radon within them, so it is always best to have your home tested. The EPA has stated that radon levels of 4 pCi/L or higher are harmful and should be dealt with immediately. If you test your home and find out that it has dangerous levels of radon within it, you are at risk. How Can I Protect My Home Against Radon? If your home was found to have dangerous levels of radon present, there are things you can do to reduce the radon levels and bring them back to a safe level. First and foremost, you should repair any cracks in the foundation and seal any gaps around any piping that enters your home from the ground. Next, you should hire a professional to install a ventilation system that will blow the radon back outside and prevent it from staying in your house. If you do those two things, your house will be protected against radon and you and your family will have a lower chance of getting lung cancer.